« Ewan is two and a half! Sorry for the poor picture quality but I haven’t picked up my camera in a while. I need to start on a new project to get things moving. 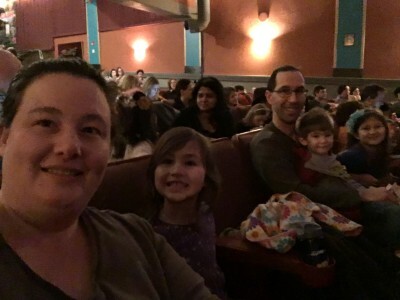 This is from our family trip to see Fancy Nancy: The Musical! At the Regent Theater in Arlington. We all enjoyed the show which was a children’s theater production and definitely better than the average high school event I believe. It was a gift from Santa for Christmas. Josie liked the song about being her mothers daughter, and Celia liked the one about being a shark. Ewan wanted to know why the lights kept getting turned off, didn’t like the dark. This entry was posted on Friday, March 4th, 2016 at 3:29 pm by Jen. You can follow any responses to this entry through the RSS 2.0 feed. You can skip to the end and leave a response. Pinging is currently not allowed.